Fredericksburg, September 6th, 2017 – Medical Imaging of Fredericksburg (MIF) is proud to announce the opening of a new Imaging Center for Women (ICW) location in North Stafford. The new center is an extension of the ICW located in Fredericksburg, one of the most renowned and comprehensive women’s imaging facilities in the state. The centers are operated by Medical Imaging of Fredericksburg, a joint partnership of Radiologic Associates of Fredericksburg (RAF) and Mary Washington Healthcare (MWH). 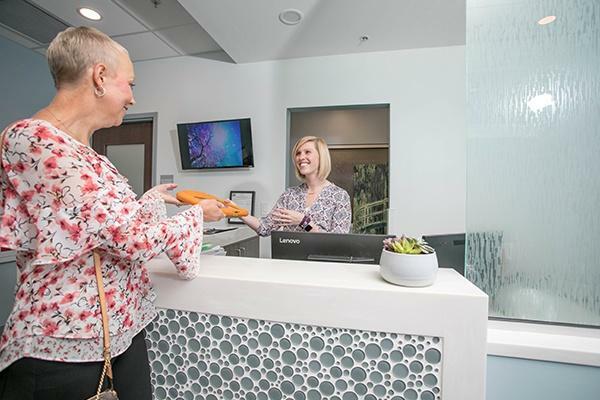 The new center features advanced breast cancer screening services such as 3D mammograms, the latest technology in the fight against breast cancer. Another service offered at the North Stafford location are DEXA bone density scans. While bones scans are beneficial for both men and women, women tend to have higher incidences of osteoporosis. Dr. Talukdar recommends engaging a primary physician to determine whether a bone scan would be beneficial. The new center offers crucial treatments and imaging for women in the region in a more convenient location, just off of route 610 and I-95. It also hopes to encourage more women to take advantage of screenings for detecting breast cancer in its earliest, most treatable, stages. Blvd., Stafford, VA 22556. It will serve women in Stafford, Garrisonville, and Aquia Harbour, among others. Appointments can be scheduled by calling (540) 741-XRAY (9729).